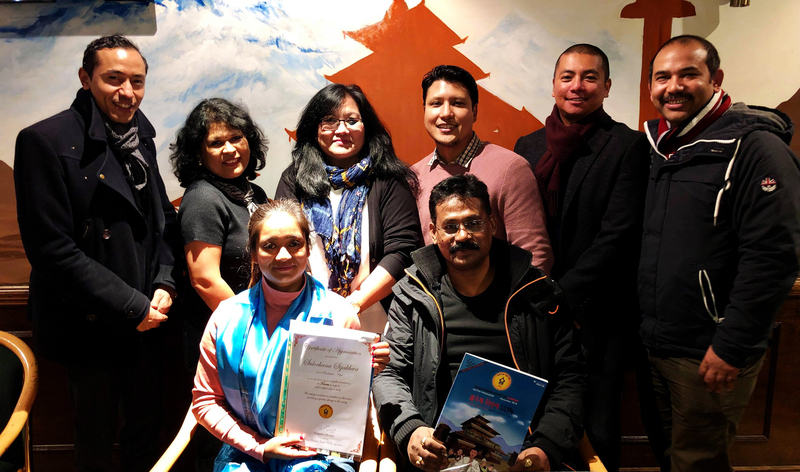 Pasa Puchah Guthi UK London’s executive committee felicitated Nepal Sports Council’s Sports Expert Ms Sulochana Sijakhwa from Bhaktapur, Nepal, with a certificate of appreciation at a meeting held in Alperton, London. Ms Sijakhwa is the Gold medalist for Karate in 10th South Asian Games, alongside the winner of a dozen more medals for Nepal and an outstanding graduate of Sports Science from Cuba. 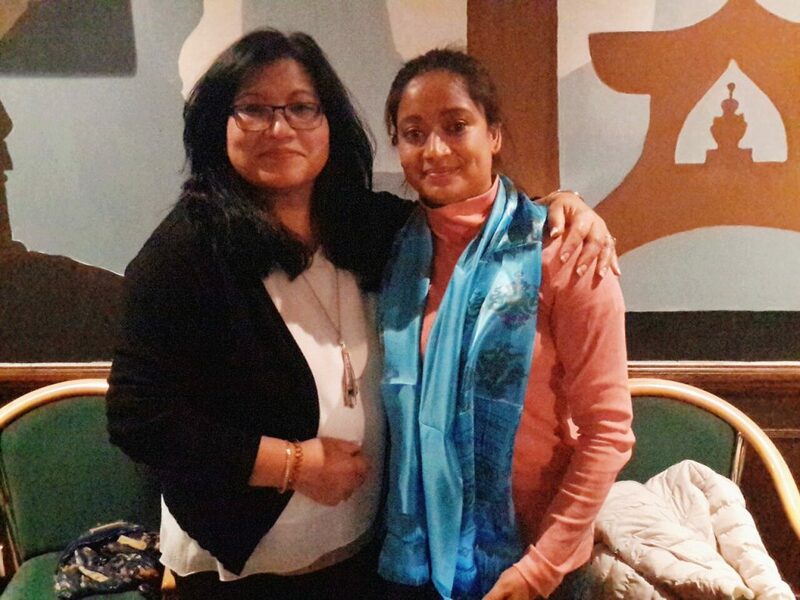 PPGUK Vice President Rukmani Manandhar and Sports Expert Sulachana Sijakhawa from Nepal. In the meeting attended by Guthi’s President Sanyukta Shrestha, Vice-President Rukmani Manandhar, Treasurer Sabita Manandhar, Joint Secretary Anil Maharjan, Sports Secretary Sumeet Bajracharya, Member Kiran Manandhar, BBC service’s Nabin Khadka, Karate coach Jeevan Shrestha and businessmen Binod Baral and Surendra Shrestha, Ms Sijakhwa informed about her sports career and expertise. Journalist Mr Nabin Khadka highlighted the impact of Kathmandu air pollution on athletes during their training sessions. President Shrestha expressed that Nepali athletes who are trained in the UK can contribute to Nepal’s sports sector. He appointed Ms Sijakhwa as the official representative of PPGUK London to liaise with Nepal Sports Council such that those children from Nepali diaspora in the UK, who are committed to sports, can be acquainted to the state of their sports in Nepal. Towards the end of the meeting, Ms Sijakhwa said that she will do her best to facilitate Nepali sportspersons from the UK while they are in Nepal.